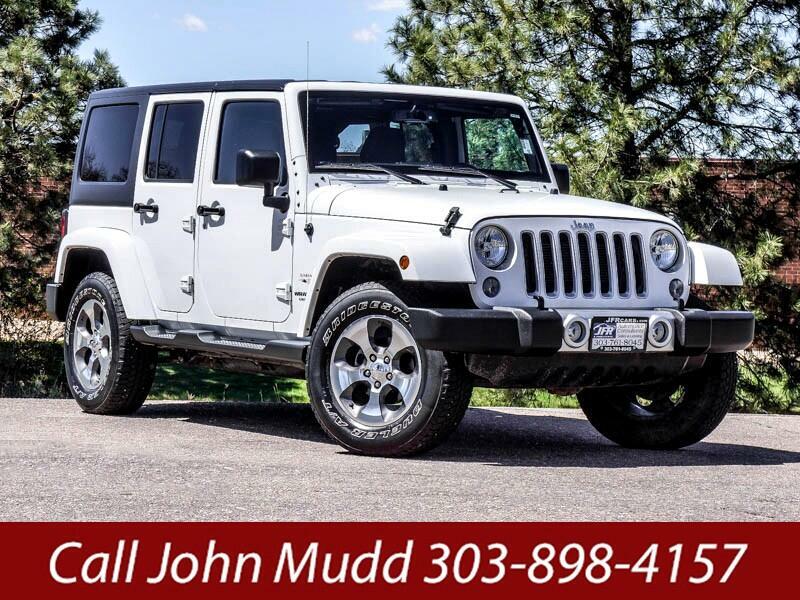 Used 2017 Jeep Wrangler Unlimited Sahara 4WD for Sale in Littleton CO 80120 JFR & Associates, Inc.
For Jeep purists, you'll love how this Wrangler handles and looks going down the road or blazing new dirt trails. This Wrangler offers comfort and high-tech options to make your driving experience more fun. Once you get behind the wheel of this Jeep and take command, you'll soon realize that the primary mission of this Wrangler is to get you places that most people never get to see. You'll love how this Wrangler navigates through rough terrain and climbs big hills. The V6 engine provides plenty of power when you need it most whether you're merging in traffic or playing in the mountains. Controls are laid out nicely and simple and easy to use. This Jeep Wrangler comes with options like running boards, tinted windows, CD player, navigation, Bluetooth integration, hard top, Satellite Radio, plus lots more to make your driving adventure enjoyable. You are cordially invited to take this handsome Wrangler for a test drive and discover for yourself why this Jeep is so popular. Contact us today and schedule your test drive. Nothing feels better than a Jeep Wrangler playing in the sun.